Anyone who travels to Alaska gets to see some of the most spectacular natural beauty in the world – and visiting any of the state’s 54 million acres of national park land gives you the chance to see the best of the best. But you might not have time to see it all. So in a new series of blog posts, we’ll be counting down the top five most popular national parks in Alaska for you. Let’s start with Katmai National Park & Preserve. Katmai had more than 30,000 visitors in 2014, making it the fifth-most visited national park in Alaska, according to the National Park Service. The 4 million-acre park is located northwest of Kodiak Island, southwest of Homer on the northern Alaska Peninsula. The top activity in Katmai National Park is undoubtedly bear watching. The Alaska Peninsula is home to more bears than people – about 2,200 bears live in Katmai National Park alone. Some of the best viewing areas include the coastal regions of the park and Brooks Camp, where brown bears gather to hunt for salmon. Wildlife viewing platforms along the Brooks River give you the best, safest opportunity to view these massive creatures. July is the best time to “catch” these bears at Brooks Camp. As always, visitors must have a healthy respect for bears to ensure the safety of both the bears and humans. For instance, trying to get a selfie with a bear or other large mammals is not a good idea. Always keep your distance, and if you’re hiking, make noise periodically to avoid surprising a 900-pound bear. Understand that you are entering a bear’s territory and it may feel threatened. 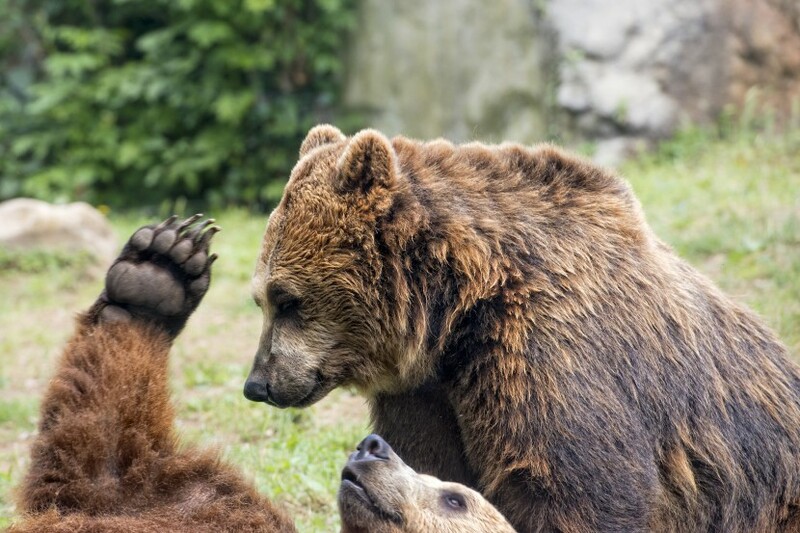 Learn all you can about bear behavior before visiting areas where bears are frequently seen. Mt. Katmai last erupted in 1912, and the park was established in 1918 to preserve the altered, active volcanic landscape surrounding it, including thousands of steam vents, now called the Valley of Ten Thousand Smokes. Hikers can see volcanic lakes, waterfalls, glaciers, warm springs and the lava dome of Novarupta, the volcano within the Mt. Katmai caldera. Brooks Camp Campground along Naknek Lake is a great place to stay if you’re planning to watch bears. The National Park Service recommends making reservations early, particularly if you plan to come in July. Often the campgrounds are booked within a few hours of the first day that reservations are open at the beginning of January. The camp includes potable water, vault toilets and an electric fence surrounding the grounds. You can stay up to 7 nights in July and 14 days during any calendar year. You can also reserve Fure’s cabin, a historic one-room house named for trapper and miner Roy Fure. The house, located on Naknek Lake’s Bay of Islands, is made of spruce logs. Katmai would rank among the top visited national parks in Alaska if it were more easily accessible – virtually all access to the park is limited to boat or plane – in fact, most visitors arrive by float plane. Check out this list of air service providers, outfitters, boat operators, kayak tours, sportfishing charters and bear viewing guides to help plan your visit. Be sure to book a stay at the Kenai Princess Wilderness Lodge to get rested and enjoy the comforts of home before and after your visit to the rugged Katmai National Park – and to plan your visits to more Alaska national parks.